We went strawberry picking for the first time this year and we all had soo much fun searching for the biggest and best strawberries. I snapped a few shots of the gang hard at work. 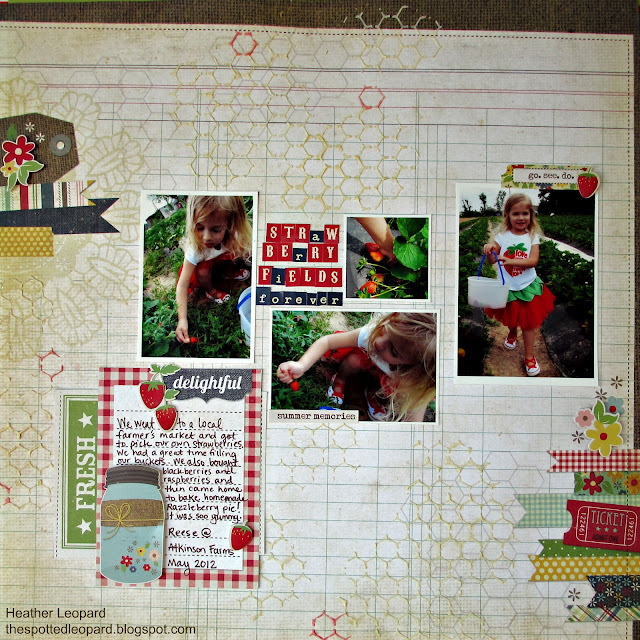 Here's the layout I did of my youngest daughter. You'll be seeing one real soon of my oldest girly! There's this fun contest going on over at Memorable Seasons. It's called Last Scrapper Standing and it's like Survivor, where you play in challenges, you can win immunity and there's a chance you'll get voted off. 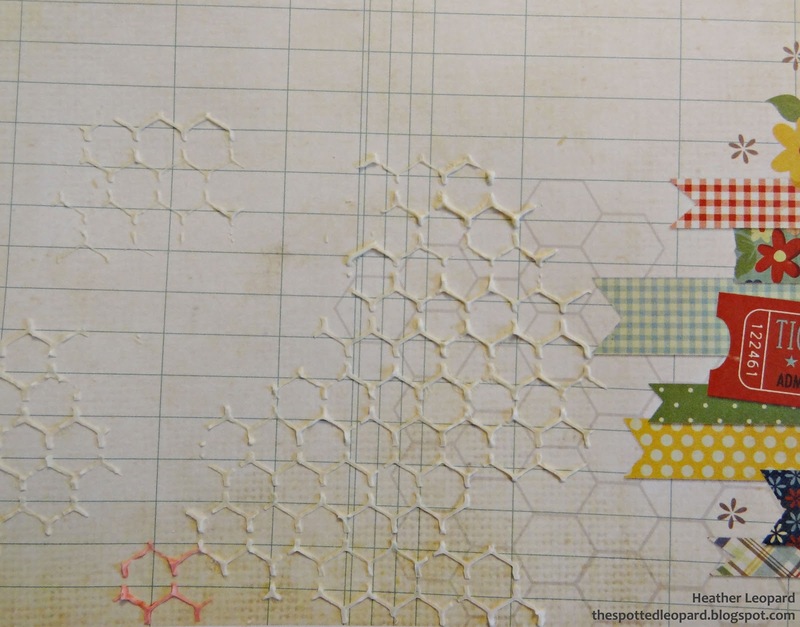 We're in Week 5 now and the contest is in full swing but you can always play along for the sake of playing but also for a chance to be randomly selected to win super scrappy goodies! This week's challenge is to use a MASK on your layout. 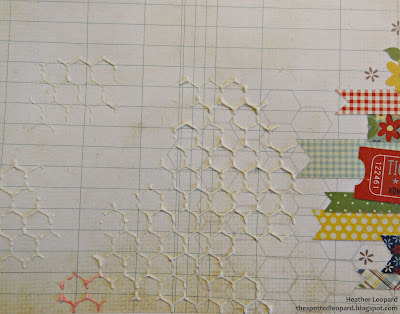 You can use it to mist on your layout, or you can mist the stencil and then use it as a stamp, paint, doodle around it or whatever your heart desires but you have to use a mask. Step 1: grab a mask, modelling paste (got mine at Hobby Lobby with my mobile coupon, mist and something to scrape the modelling paste on with (knife, credit card, etc). Step 2: mix modelling paste with color mist. 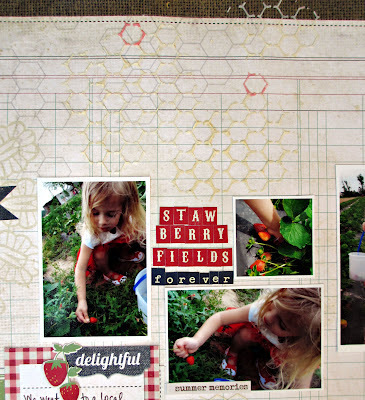 I used Studio Calico Mr. Hueys Gold and a homemade red (I need to pull out the color of the strawberries). Step 3: Figure out where your photos and journaling will go. That is key. 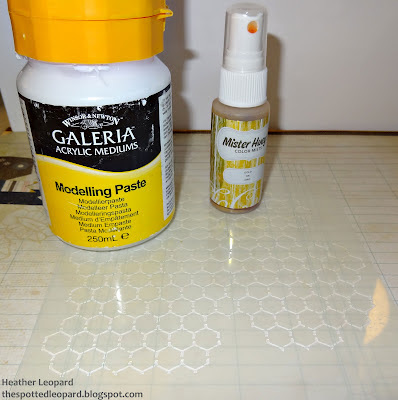 Once you know that, spread the colored modelling paste over the stencil, avoiding the areas you've identified for your photos and journaling. 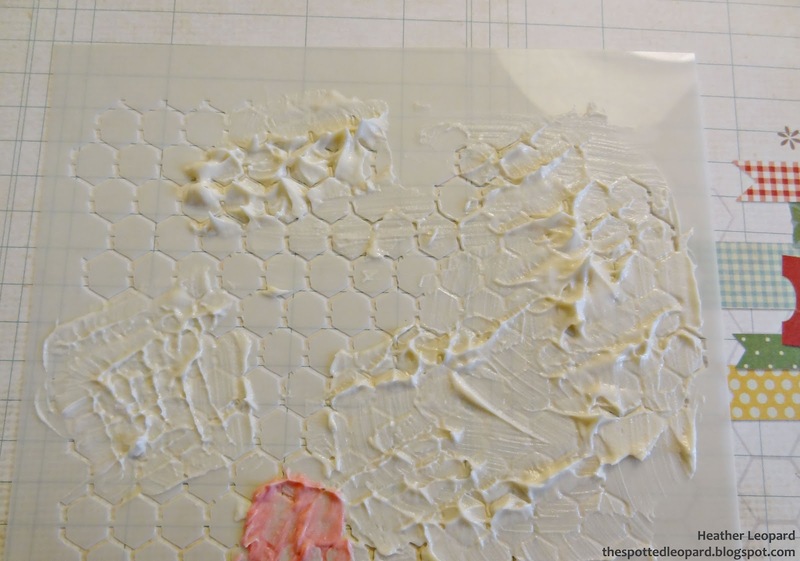 Apply the paste heavy enough so that you can get peaks and valleys if you want the dimension. Step 4: Pull the mask off before it dries. I pulled mine off immediately after applying the past. 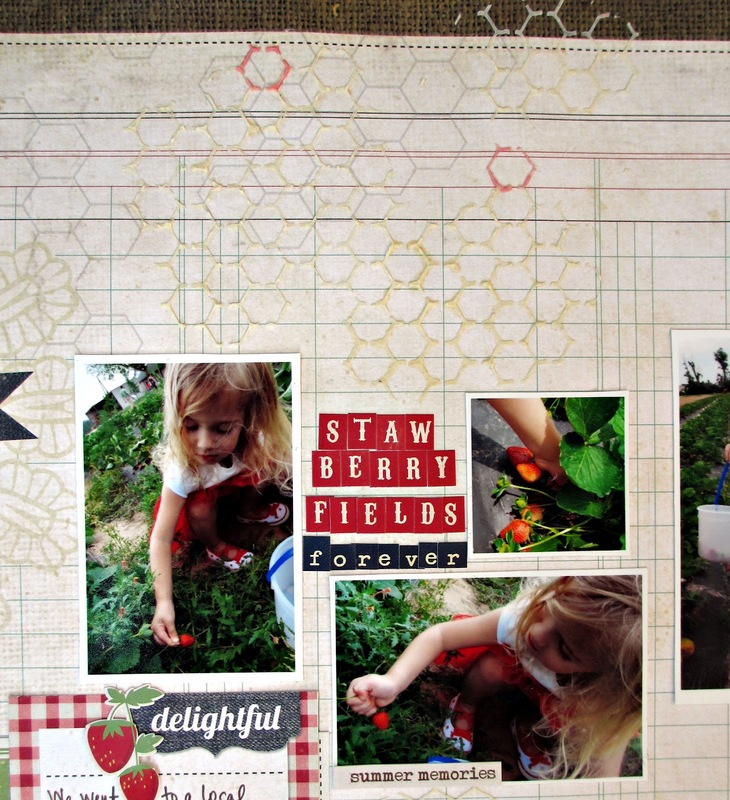 Step 5: Add photos and embellishments! Did you notice my title is different in my layout than it is in my close-ups? I realized it as I was writing this blog post that I forgot the "R" in Straw" and guess what? I ran out of R's in my sticker sheet. I am going to order another sheet but until then, I added a quick fix. It is what it is or as I tell my girls, You get what you get and you don't throw a fit. 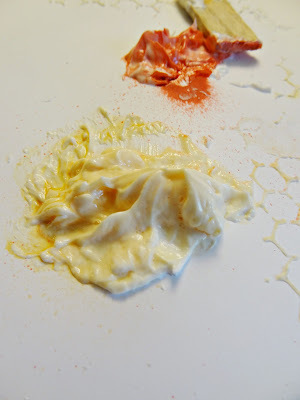 Okay, so I hope this inspires you to maybe try something new with your masks and mists! I like your solution to the missing letter. I call things like that "happy accidents." Great layout! I love the dimension! Really cute! 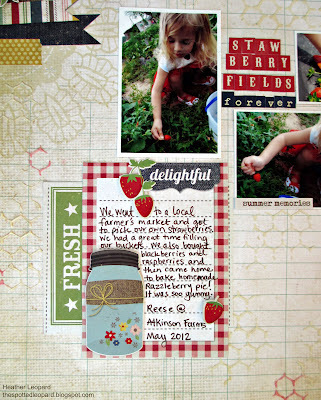 Love the way you use the modeling paste to create background elements. I should try that with supergloss gel and some acrylic paints! 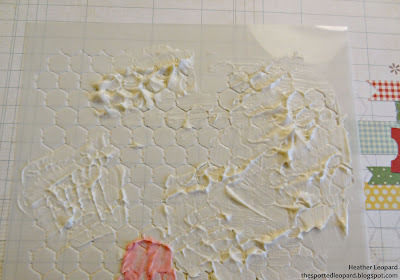 What a cool effect with the modeling paste! Adorable layout! What a great idea. Your layout looks wonderful! This is GORGEOUS! I loveeeeeeeeeee that background and love love love that title!!!! Nice, great technique that I want to try and it turned out cute!